The FBI processes many pieces of information each day, some because of reports generated by agents, but most because people are inclined to report “suspicious” activity. As an example, a school guard might report seeing a suspicious car the day a bank robbery occurs or a garbage collector might suggest activity inside a house is somebody cooking meth. But still others are caused because the FBI uses human resources to gather information, in particular two categories of persons known as a Cooperating Witness and Confidential Informant—all for the purposes of collecting intelligence. The FBI now refers to these resources as Confidential Human Sources. Not considered an employee of the United States Government yet occasionally credited with being the “eyes” and “ears” of the FBI—appropriately used—a Cooperating Witness and/or a Confidential Informant can be an effective weapon combating crime. Combined with technology, these individuals are invaluable tools for law enforcement officials collecting evidence and identifying suspects. Briefly speaking, a Cooperating Witness is someone whose assistance generally includes “monitoring” and/or “recording” conversations with suspects—meaning their identity can become known when someone is charged with a crime [and they are so warned]—while a Confidential Informant is someone whose identity and assistance the FBI will endeavor to protect, but cannot guarantee because of the rigors of the criminal justice system. But like any investigative tool used by law enforcement, a Cooperating Witness can be misused and/or “not” adequately monitored and/or supervised by officials resulting in evidence being manufactured and/or destroyed. 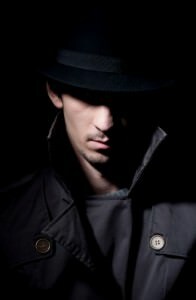 And because conversations can be selectively recorded—even erased—police authorities and FBI agents must ensure that any Cooperating Witness and/or Confidential Informant used is always appropriately monitored and supervised—protecting “not” only innocent persons, but the integrity of any investigation. Accordingly, list members can be extremely helpful to persons seeking information and/or wanting a professional opinion concerning the use of a Cooperating Witness, Confidential Informant and/or Confidential Human Source. Looking for an expert concerning using a Cooperating Witness, Confidential Informant, and/or a Confidential Human Source interested individuals should use the website’s search feature, entering the appropriate skill and geographical area, and thereafter make contact with the listed expert—using the contact information provided. Retired FBI Agents and Analysts and a background in Cooperating Witness, interested in securing a Directory listing and/or a personal email address, need only submit a brief online application to join the website.